The time for bold actions is now.With you by our side, Transition US will work town by town until we have transitioned the entire United States! Help us raise $200,000. With a contribution of $170 or more—a monthly gift of just $14.17— we will meet this challenge. Transition Free Press is a newnational tabloid newspaper in the UK. It will be run as a pilot for four issues during 2013. The 24-page edition will contain a mix of news, reviews and features, dedicated pages to energy, the land, people, economy, food, well-being, the arts, cartoons, sport and a unique Transition agony column. Transition US is looking for a dynamic, emerging leader who can help move Transition US boldly into the next phase of its development and catalyze the wide-scale spread of the Transition movement in the United States. View the full posting. Giving thanks to this amazing network (all of you) weaving a shared vision of resilient communities, where wealth isn't just about the stuff we have but of the relationships that we foster, and the spaces that we create for each other in the places that we live. Here are some highlights of what's keeping Transition Initiatives busy across the US...Read more. Transition Town Charlotte held its great uneading, titled "Celebrate Charlotte--a Festival of the Future." Read more. 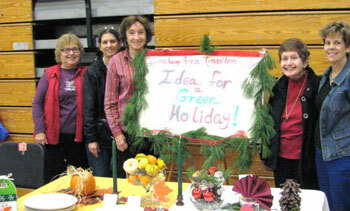 Nearly 600 people attended the First Annual Whatcom SkillShare Fair in September, presented by Transition Whatcom. Read more. Share Spray is a short animation from the Center for a New American Dream and Janelle Orsi, co-author of The Sharing Solution. With creativity, charm, and a bit of fun, Share Spray explores how our lives and communities could transform if sharing became the new way to do EVERYTHING! Start sharing now with these online resources. Chelsea Green is offering Transition Groups a 50% discount for case quantity (32 copies) or 40% for bulk purchases of 20-49 copies of this new book -- contact Darrellif interested, and use SD12 discount code. Whether you are activist, consumer, businessperson, or homesteader, you will learn what to look for within your local community. You will learn what elements are essential to a local economic "ecosystem" so that you can spot what is missing in your local area and help cultivate it. 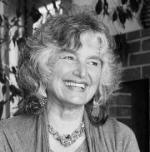 In this webinar Vicki Robin will share her experiment of eating within 10-miles of her home on Whidbey Island and engage you in a thoughtful, lively discussion of what your own experiments in "extreme sustainability" have been, might be and what we are all learning about the blessings of life in the relocalized lane. 12-12-12 is being celebrated internationally as the "world day of interconnectedness" -- Led by Julia Bystrova, we will talk about some of the ways Transition and other movements fostering connectedness and look at some common issues that occur that make us feel disconnected--and ways we might shift them. 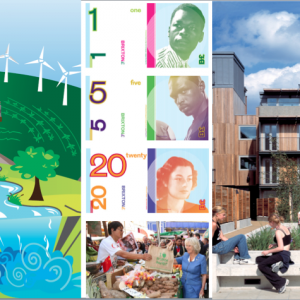 Hear about how Transition towns in the UK arebuilding new local economies, and the tools, resources, training and face to face gatherings that the Transition Network’s REconomy Project offers. Fiona Ward, the project initiator, gives an overview of the national project, and what’s happening on the ground in the places that have integrated this work. Post Carbon Fellow Bill McKibben has been on the road this month with his Do the Mathtour, encouraging people to divest from fossil fuels. PCI Executive Director encourages us to go a step further by re-investing in community energy. For those looking for practical advice on how to go about this, pick up the PCI Community Resilience Guide Power From the People, or listen to author Greg Pahl present on the book in this recently recorded webinar at Resilience.org.